Marshland is entirely flat; an area of farmland and dykes. King Charles I invited Cornelius Vermuyden over from Holland in the early 1600s to drain the marshes which had always suffered from wind-blown high tides. Although Vermuyden was later knighted for his efforts, he was an extremely unpopular man locally as his work destroyed the livelihood of many families then living and working in the marshes. The fertile alluvial soil of the Marshland mainly comes from the River Ouse. Twice a day the incoming tides stop the flow of the river and the soil washed from upstream is deposited as rich silt over flooded land. Unfortunately, the outgoing tide washed the silt away again. This warping was eventually controlled by the skilled use of channels, sluices, drains and built up banks along the river foreshore - allowing the water to flood specific areas, release its burden of silt to enrich the land before slowly ebbing away. Departing Swinefleet, the river disappears from view and large flat tracts of rich agricultural land appear on either side of the road. Reedness, the next village, is a strip settlement with lanes leading off to the south serving the farming communities. The river re-appears near the Ferry House Inn (also known as The Angel Inn) where paddle steamers called on the way to Blacktoft and beyond. Where Reedness ends, Whitgift begins, at the church of St. Mary Magdalene. The village’s one street ends just past the chapel at Hill Crest. Ousefleet now begins and is farmland. 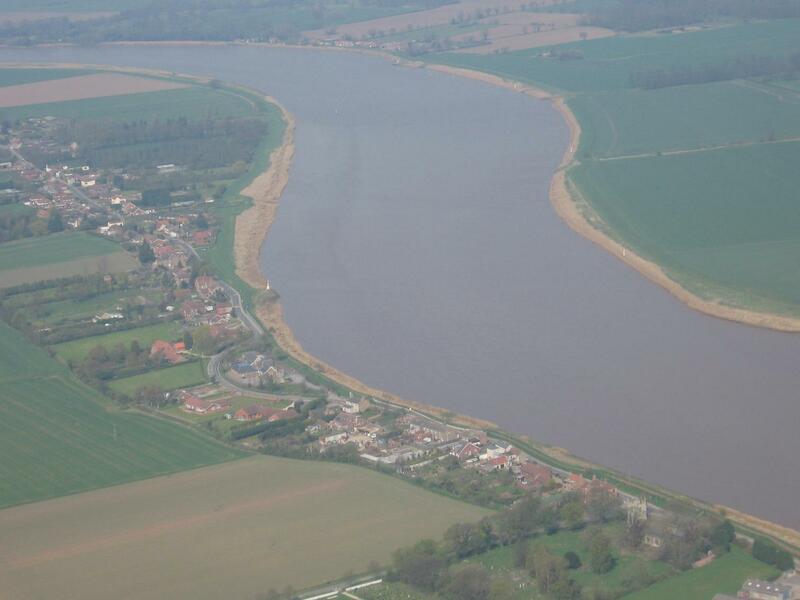 Like the river, from which it takes its name, Ousefleet ends at the confluence of the Ouse and the Trent.